This webcast panel discussion explores tools and best practices for effectively collaborating and achieving success in an age when collaboration is key. Design is a fundamentally collaborative and interdisciplinary activity, a fact that has become even more relevant in the last 10 years. Multimedia design solutions, holistic branding and steeper competition for winning clients are just a few of the reasons that successful graphic designers must understand how to incorporate all phases of the design process, from brainstorming to concept development; from getting feedback to making refinements; from file-sharing to project management. Join our experts for a discussion of best practices and tools to collaborate effectively within creative teams, with related professionals and with clients. 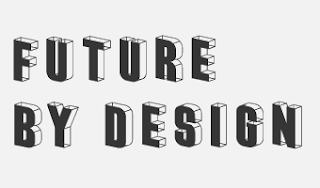 This edition of Future by Design features international panelists streamed virtually, as well as interaction with audiences from coast to coast. Creative Collaboration is the ninth in RGD's ongoing Future by Design series. These events are broadcast live via webcast. Contact programs@rgd.ca to find out how to participate. Join us on Twitter using the hashtag #rgdFBD to participate in a live chat during the event. "A prerequisite of a great collaboration is a seductive tension that pushes each participant out of their comfort zone and takes the work to another dimension." Vanessa will share examples from her experience with collaboration that questions both the medium and the preconceptions that exist in the world. Bob Hambly RGD, Creative Director at Hambly & Woolley Inc. In 2013 H&W created a publication entitled BEES for Flash Reproduction's Wayward Arts series on "Community". An editor, four writers, five photographers, two illustrators and three artists all contributed their efforts to this project. And they all did it pro bono. Bob discusses how this collaboration came about and how H&W approached, excited, art directed and acknowledged this pool of very creative individuals. Design Army works on many projects that require a small team of designers, writers, printers, and sometimes multiple clients. Jake will share his experience working on projects that involve creative input from multiple sources. *RGDs and Provisional Members attending this event will receive a FREE copy of Creative Intelligence by Bruce Nussbaum, in addition to other RGD giveaways! Come out and discuss some design related topics with local designers, while gaining some valuable real world knowledge.